I am so happy you are meeting your goals and things are looking up for you. As far as the credit repair, I’m afraid the only thing that will repair your credit is time and on-time payments. Credit repair companies are scams. I hope you can get your money back. I had no idea the can of worms I was opening with this post. Honestly, I was taking the advice of a respected person that I have known for 11 years, and who was recommended by my dad that many years ago. Unfortunately, the contract I signed states no refunds, so at this point I am just going to have to pray for the best. I will keep everyone posted on what happens. Good for you about your Emergency Fund, but YIKES I wish you had asked here before paying $400 to a credit repair service. They are all scams … very much like all those ads for instant weight loss products. The only way to repair credit is to have a lengthy period of on-time payments, just like the only way to lose weight permanently is with diet, exercise and lifestyle change. $400 is such a lot of money, especially to you since you are just now getting back on your feet financially. I truly didn’t even think to ask about the credit repair option since it was recommended by someone in the mortgage business whom I have known and respected a long time…referred to by my dad, in fact. At this point, I’m just going to have to watch and see what happens, I will definitely post a follow up as things happen or don’t and we shall see. Although I am a long time reader, this is the first time I have chosen to respond to a post. Credit repair is not a scam. I have successfully owned my company since 1997. I was licensed as a mortgage broker since 1986 and owned a mortgage brokerage business but when the economy took a dive, I decided I could best help those who genuinely needed assistance with my credit repair business. Like everything, there are many of us who are good and professional and then there are those that are not but assuming all of the service is a scam is not correct. The way I see it — you can hire an accountant to do your taxes — or you can decide to do them yourself. Will you obtain the same results? Maybe but I usually allow the professionals to take care of what I have no knowledge about. So, what exactly do credit repairs businesses do? Remove inaccuracies from your credit report and attempt to remove other items that can affect your credit score. I will keep the BAD community posted as I move through this process. If I were setting up a company of this sort, I’d find a few desk jockey’s inside the credit agencies and make them my friend, then pay them to do the job they should be doing anyway, which is handling requests to remove inaccurate information. This theory as to how it works would explain why you can never get them to actually do that by just asking. They expect to get something extra. Maybe I’m just really really cynical lately. Thank you for your post. I am praying this is true. I assumed it was based on the recommendation I received, and am committed to seeing it through. I will post updates as things happen and of course, am praying for the best. Conagrats! I’m interested, do they tell you how they repair your credit? For example, if you have bad debts, how can they just eliminate them from your record? I would be interested to see how they do it and why you couldnt do it on your own. I’m sure they have some resources and experience with it. I tried, several years ago, to get some inaccurate reporting off my report, and it was labor intensive and time consuming. Which is why when this company was referred to me a couple of years ago, I kept them in the back of my head. I do not know exactly how they do what they do, but based on my own experience and the time and energy I am putting into growing my business back, I knew I needed help this time. I will definitely post updates as things go the next couple of months. It will definitely be a learning experience in light of everyone’s comments. I am praying for the best outcome. Hope, I’m so happy for you that you are filling your emergency fund! Having an emergency fund has made such a huge difference for us and I know it will for you, too. … Like others, paying such a steep fee to someone to clean up your credit makes me very uneasy. The fact that you are being promised that it will be done in two months is a big red flag. What is it that they are saying they will do? Scores just don’t improve that much that quickly. It’s all about time. Keep working on on-time payments and not taking on new debt and you will get there. I’m pulling for you! I honestly didn’t even give it a second thought when I made the decision, other than waiting until I knew I could be consistent with on time payments. I will post updates as they get them, so we can all learn about this process together…and am truly hoping that I did not waste this money as it was a big amount for me right now. I thought credit repair companies could only remove legitimate errors from lenders that were bringing your credit score down. If the credit report is accurate then nothing will change and you’re out of the money. Am I wrong about that? I do not know. This company provided me with a ton of things they could remove, and I do have a couple of inaccuracies which I have tried in the past to remove myself. There is no going back from this decision now, as far as getting my money back…so I just have to wait and see. I have a friend who is the loan manager at a small credit union. If someone doesn’t qualify for a loan because of their credit history/score, she will work with them to get their credit score up. BUT, in her experience, it takes at least a year; this was the answer she gave me when we were trying to sell my husband’s house and someone wanted to buy the house on land contract b/c their credit score wasn’t good and said it would take 6 months to bring it up. I don’t know the particulars of your situation so it could take less time, but don’t be surprised if it takes longer. If the mortgage company recommended them, I doubt that they are a scam – the mortgage company could get in big trouble for recommending a shady company. I find it curious that you would qualify for a loan so quickly after losing your job, since you are essentially self-employed; back in the day, my (now ex-) husband was self employed and he needed two years of work history in order to qualify for a loan. You’re moving in the right direction – just don’t get discouraged if it takes a little longer than you anticipate. I’m sorry if I wasn’t clear, the qualification for the loan was a couple of years ago, which is when I was given this referral. I didn’t need it at the time…now I do. I am motivated to do this because we will in fact want to move as soon as we can, and I hoped this would be a big step in that direction. I’m not sure I could qualify for any housing with my current credit. Thus this move, earlier in my journey, to give it time to work. I don’t expect miracles, but some help would be greatly appreciated. Maybe we cannot cut & paste inside of our comments? I have been trying to include an article by ABC News about Credit Repair Companies. The very first warning sign is “money required up front”. There is nothing that a credit repair company can do that you cannot do yourself. The article also states that it is illegal to charge up front! Look up the federal Credit Repair Organizations Act. Also be aware that no credit repair company can “erase” negative ACCURATE information, which stays on your report for seven years. Bankruptcies stay for ten years. Criminal acts may stay forever. Here is the link to the article, since I cannot post the text, even with proper citing of sources. I really, really hope you can get your money back, Hope. Thanks, SCM, I appreciate it. I am really torn because 1) the person who made this recommendation to me, to this specific company has been in the mortgage business a LONG time and gets no kick back for his referral. Not to mention he is someone my dad recommended and I have known and worked with him for 12 years now; and 2) the contract I signed specifies no refund of the deposit so there is no really going back if I wanted too. So I’m going to have to watch how the cards fall, and learn a lesson one way or another at this point. I will keep the readers posted. It sounds like the new credit issues may be from paying bills late while you were out of work, which is understandable that happened, but it takes time to repair. Are you planning on applying for new credit soon? If not I wouldn’t even worry about your score right now just keep paying bills on time and paying off debt and it will improve in time on its own. It’s a shame that was a non refundable deposit, I think it would have been better served elsewhere. You may be right. I am going to learn a lesson either way this goes, and will keep BAD readers in the know. I don’t plan on applying for credit, but housing is greatly on my mind so trying to get a jumpstart on being ready for that…in the future. Use the info from the link and ask for a refund. $400 is a lot of money in your situation. They prey on people trying to improve their situations. I bet if you make a stink you will get it back. I am torn on this because of how I was referred and my respect for the BAD community. I have never been one for making a stink…so at this point I am just going to have to see where the cards fall. I will keep the BAD community posted either way. I would question whether rebuilding your credit should really be a priority at this time. $400 is a lot to spend for something that will happen naturally over time if you 1) quick pay off recent debts (e.g. your rent) 2) continue to make regular payments on old debt. 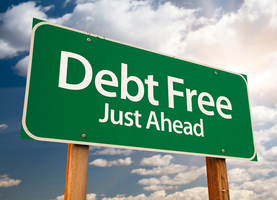 3) don’t take on new debt. It’s great that you saved up $1000, but my advice would be (as it has been for the last 2-3 years) to set your mark a little bit higher: try to save up ~$20,000 in cash. After doing that, I promise you that even living the exact same frugal life that you are now will feel very, very different in terms of overall stress and day-to-day outlook. $400 would have been a very nice step to a goal like that, I really hope you can get your money back (or at least a pro-rated refund). I would actually agree with this and I do have other financial goals; however, I do have to find housing sooner, rather than later and with my credit as tanked as it is…well, I have to do something about that sooner, rather than later. Our current housing situation is temporary and not ideal for cold weather, so I am trying to be prepared when the time comes to move my kids to better housing when it become necessary. I don’t want to be caught with no options. Hope, you have a money blog. Why would you ask for people’s advice AFTER putting a non-refundable $400 deposit down?! Well done on the EF. Very good point…hindsight is always 20/20. I don’t think all credit repair companies are scams (some might be), anymore than any other service you pay someone to do that you could do cheaper yourself. That is, they are a scam if Starbucks is a scam because you could really make your own coffee at home. That being said, I would strongly suggest you take the time to learn about credit repair and take on the task yourself as it is incredibly informative (empowering as a consumer) and not at all time consuming. In fact, the hardest point of credit repair for most people is the waiting. My suggestion (and the tool I used) is the forums over at creditboards dot com. This is an INVALUABLE tool/resource and an incredibly knowledgeable community from which to gain insight for your present and future credit needs. Thank you, Candice, I will definitely check this resource out. In fact, I did make some repairs several years ago when I found some inaccurate information on my report and it was a real pain and very time consuming…neither of which I am up for right now. So I have hired it out, and am praying for the best. I feel like I did my due diligence other than asking here, so I’m going to hope for the best, and it will be a lesson learned for all of us. Congrats on building up the emergency fund! But as far as the credit repair, like others I don’t understand why you asked for opinions AFTER you committed to something with a non-refundable deposit. As someone else indicated, a legit company might be able to assist you with getting true errors on your credit report resolved (though I believe you could have done this yourself.) If your score is lower than you would like due to late or missed payments, then it’s going to take time and a better payment history to improve your score. I’m curious though, what sold you on their services other than the one recommendation? Did you check with the Better Business Bureau (or anyone else) before handing over money? How did they indicate that they were going to improve your credit in such a short amount of time? Given how hard you’ve been working, I hope something good comes of this for you, but my spidey sense is seriously tingling over here. Great questions! I did in fact check with the BBB, they have an A+ rating. Also confirmed their business license, checked references and contacted the state corporation commission. The one referral was very heavily rated since he has been in the finance industry forever, was used by my father since 1998 and helped me buy my first house with my husband and qualify for the loan when I was planning on building. In hindsight, I would have asked here first, but I really didn’t even think of it with everything mentioned above. I will keep the BAD community in the loop and we will see how this plays out. Thank you for taking the time to reply…and even to each one individually when there were common themes! Paws crossed that this works out in your favor. I’ve recently discovered BAD and I’ve now read your posts all the way back to the first one in 2014. I have also read all the comments. I want you to know that I think you are amazing. I appreciate your ability to look an issue from all angles, mull it over, and then come up with a solution. Your solutions are often very creative, out-of-the-box ideas that I would never have thought of, but wish I had. It is a tremendous accomplishment to have effectively paid off all but your student loan, significantly reduced your living expenses, and weathered the storm of unemployment all while being the only caregiver and primary financial support for four children. You are a marvel. And, what’s more, I think you are a lovely, kind person. Some of the comments I’ve read on this site have appalled me with their sheer nastiness. Not necessarily on this post, but definitely on previous posts. After what I’ve read in some of the comments, I don’t plan to visit this site again as I don’t think I’m a good fit as a reader. I wish you continued success on your journey, Hope. You got this! Thank you very much for your kind words, Spinster! The encouragement means more than you know. Out of the box has definitely become my middle name and it seems to have worked for us thus far. My every day goal is just to do the absolute best for my family, and sometimes that means taking the path less or never traveled. Life is definitely an adventure and we have learned to roll with it, loving the great and knowing the bad won’t last forever. A tough lesson to learn sometimes, but definitely worth it in the long run! The negotiate settlements, etc. is a whole different ball game who I have been told repeatedly are not a good idea, doing more harm then good. This is more to remove false and negative things from your credit report. I am putting in the work to keep paying things on time again, etc. I’m just hoping for a bit of a kickstart since I will have to qualify for housing someday sooner rather than later. And this path was referred to me by someone I trust. Seriously though. I feel like you’re always in a rush to make changes to your housing rather than hunkering down and taking advantage of the situation. Are there other drawbacks that you’re now mentioning? Inquiring minds want to know . . . Yes, housing has been a HUGE issue for me since becoming a single mom. I have written about the 3 times we had to move out of rental homes with NO notice due to no fault of my own. The little kids and I have moved 8 times in the last 9 years. In the first year alone there were 4 moves. Crazy! So it’s not that I am rushing to move. Believe me, I am so grateful for the financial break this is giving me. BUT experience has taught me I must be ready to move and that is why I am making credit repair a priority, so I am prepared. I have to be capable of not only paying for housing again, but also qualifying for it, ie credit check. Hope, is everything okay? I’m a lurker, not a poster, but I’m concerned about you because we haven’t heard from you in so long. I hope all is well. We miss your posts Hope. Can we get an update please? Hope, it’s been almost a month since you’ve written a post. Are you sure you want to continue as a contributor to this blog? We’re here to cheer you on but we can’t do that without (somewhat) regular posts. I know life is busy but we make time for the things that are important to us. If you don’t share what’s going on we can’t encourage you to keep going or offer a different perspective for you to consider. Although I’m not sure if the company Hope signed on with is doing this…. I recently found out about credit repair companies that pays people that have credit cards with a high credit limit and long history to add authorized users to their credit card. In this way the customer is paying the credit repair company to get them on an old, high limit account thus lowering their debt to available credit ratio and increasing the average length of accounts. The person who gets added never gets a card and is unable to spend but the account is added to their credit report to boost their score. Its called tradelining. It sounds like Hope is paying to have them remove inaccurate listings. Not sure if the payment also includes this type of arrangement. It’s been a while since we’ve heard from you. I hope that it’s just typical life craziness with being a single mom/business owner and not a terrible emergency. I’m praying for you hope, and hope that all is well with you and your family! Just know we are all rooting for your continued success with finances and life! You have a lot to be proud of in you’re journey!